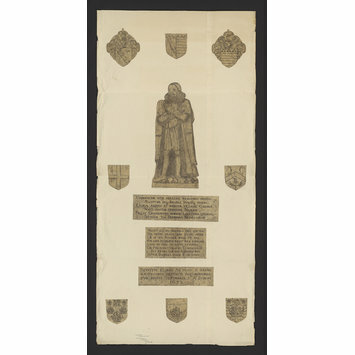 Given by the Rev. A. Tyrrell Green. 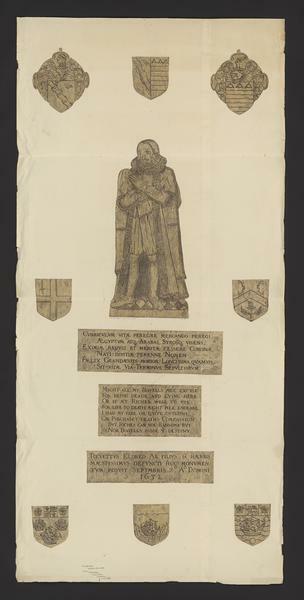 Brass rubbing (effigy in civil dress, with inscription) of John Eldred. 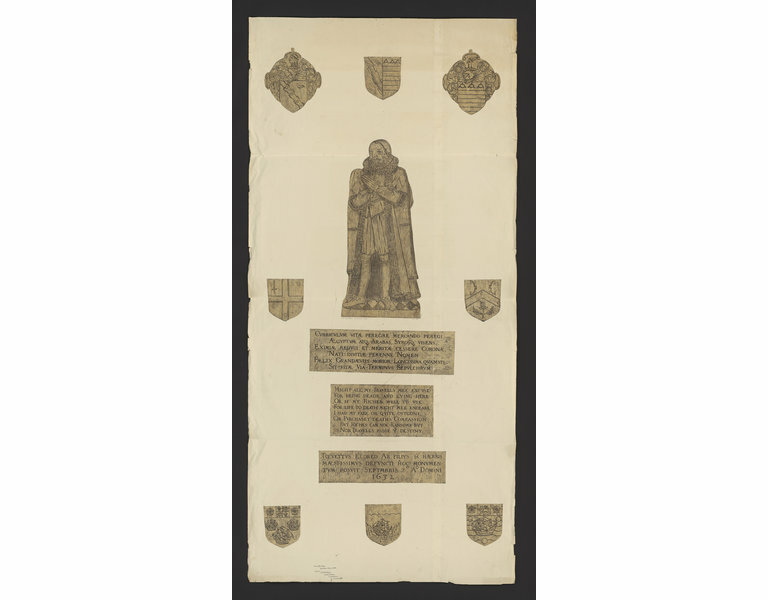 Brass rubbing- effigy of John Eldred in civil dress, with inscription, dedication plate, 2 achievements and 6 shields, 1632. Great Saxham Church, Suffolk. Dimensions taken from Victoria & Albert Museum Department of Engraving Illustration and Design and Department of Paintings, Accessions 1946. London: Published under the Authority of the Ministry of Education, 1949.